In possibly the most bizarre, stupid and hilarious pricing blunder in recent years, UK supermarket Tesco has been selling Xbox 360 consoles for under £34. In what is thought to be an administrative error across various websites, the Xbox 360 Premium was offered with two games for just £33.24. That's £217 less than Microsoft's recommended retail price. There are two theories which are doing the rounds. The first is that the Virgin Megastores site originally sparked off the error. 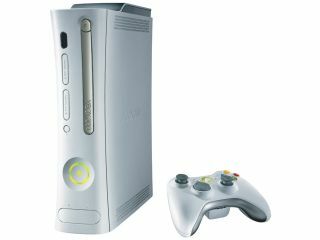 For a period of a few hours, it reportedly listed the Xbox 360 bundle for £35 before it was taken down. But in that time, price trackers at Tesco detected the Virgin price and automatically reduced the price on the Tesco website so that it beat the Virgin price by 5 per cent. The other possibility is that the Tesco listing was supposed to be only for the two games and the wireless controller, and that the Xbox 360 console was supposed to be purchased separately. However, it's unclear whether those who were cheeky enough to order the bundle before the offers were taken down will be able to claim their Xbox 360s for that ridiculous price. James de Vile, Official Windows Vista Magazine writer, and regular Tech.co.uk columnist, was one of those lucky people able to order a console before the offer was taken down. "I checked Tesco.com to check the price of the Xbox 360 console, only to find it being sold with a wireless controller and two games for the bargain price of £33.24," he said. "The description clearly stated that the package contained an Xbox 360 console, plus two games and a wireless controller. "My flimsy legal knowledge led me to believe that should Tesco take payment for said item, it would be legally contracted to fulfil shipping of the described item. With this, I purchased a console, and was informed that payment had been taken through my Maestro card, with the expected shipping date being listed as the 16th of November." However, that was not the end of the story. Tesco closed its site for a few minutes at around 7pm yesterday, coming back up with the offending page removed. This made the link in all customer's confirmation emails invalid. But despite that, by this morning orders were listed as 'ready to ship'. "The prices payable for the items that you order are clearly set out in the web site. If, by mistake, we have under-priced an item, we will not be liable to supply that item to you at the stated price, provided that we notify you before we dispatch the item concerned. "There will be no contract of any kind between you and us unless and until we actually dispatch the goods to you. At any point up until then, we may decline to supply the goods to you without giving any reason. At the moment that the goods are dispatched (and not before), a contract will be made between you and us, and you will be charged for the goods." So at this point it's unclear whether anyone who ordered from the Virgin Megastores or Tesco websites will actually be shipped the sub-£35 consoles. One thing's for sure though, Tesco's policy of undercutting the opposition might well have just severely shot itself in the foot, big time. Update: It now seems that anyone who ordered the Xbox 360 bundle on the Tesco site will NOT be receiving the console for £33.24. "Unfortunately, there was an error in the product details at the time that you placed your order, the Wireless Entertainment Pack does not include an X-Box 360. As a result we have had to cancel your order. Please refer to our Terms and Conditions on the Tesco.com entertainment site for further details of our order acceptance policy. We apologise for this error."